Further to a government announcement in autumn 2016 that a further 1500 medical school places would be made available to increase the UK doctor workforce, Plymouth University Peninsula Schools of Medicine and Dentistry (PUPSMD) and Torbay and South Devon NHS Foundation Trust have forged an agreement for extra training places for Plymouth medical students within the trust. The trust has an established track record in training Year 5 (final year) medical students as well as offering placements for a wide range of other healthcare students. Under the latest agreement, the trust will extend its involvement to Year 3 and Year 4 PUPSMD medical students with 30 extra students in 2020, 60 the next year and the option to increase to 88 per year. The training will be hospital and community-based. The agreement with the trust expands capacity for workplace training for Plymouth medical students in Torbay in addition to existing provision at Plymouth Hospitals NHS Trust. 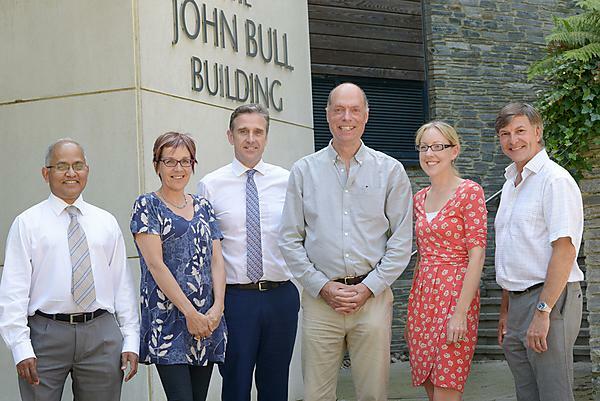 The trust has a major educational partnership with the University of Plymouth incorporating adult and child nursing, midwifery, urgent and emergency care, dietetics, occupational therapy, optometry, paramedicine, physiotherapy, podiatry, psychology and a unique programme for physician associates. These programmes amount to more than 240 non-medical students in 2016-17. The University offers one of the widest range of health profession training courses in the country, as part of its innovative ‘First Choice for Health’ initiative.